Looking for the best deals on teas, gifts and accessories? From everyday free shipping on orders over $50 to limited time offers, flash sales and amazing prizes, you’re in the right tea shop. Check out our latest promotions, contests and partnerships and get ready to save big on some seriously amazing tea. 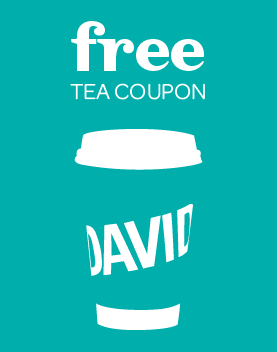 Offer valid in DAVIDsTEA stores and on the DAVIDsTEA website, from April 11th, 2019. Must purchase 4 oz or more of any one bulk loose leaf tea to receive a free Seasonal Tin. A $5 retail value. Must purchase 10 oz or more of any one bulk loose leaf tea to receive a free Mega Tin. An $8 retail value. While supplies last, quantities are limited. Bulk loose leaf teas cannot be redeemed as part of the Frequent Steeper Program. Not valid for cash or cash equivalent. Not valid on previous purchases. This offer is subject to changes, alteration, or termination by DAVIDsTEA at its sole discretion at any time and without notice. 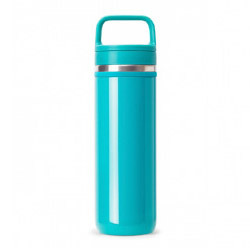 Valid in DAVIDsTEA stores and website, from April 2nd to April 22th, 2019. Applies to select Single Pack of 15 Sachets, Variety Pack of 15 Sachets, and Infuserless Mugs. Must buy an even number of select items for the discounted price to apply. A maximum combined retail value of $30. Not valid on previous purchases. While supplies last; quantities are limited. Cannot be combined with other offers. Not valid for cash or cash equivalent. This offer is subject to change, alteration or termination by DAVIDsTEA at its sole discretion at any time and without notice. Offer valid on the DAVIDsTEA website and in stores, from December 25th, 2018; while supplies last; quantities are limited. Offer valid on select items only. Semi-Annual Sale products cannot be returned, exchanged or reimbursed. No further discount applies to Semi-Annual Sale items. Not valid on previous orders or purchases. Not valid for cash or cash equivalent. This offer is subject to change, alteration, or termination by DAVIDsTEA at its sole discretion at any time and without notice. Get a free cup of tea in store with original coupon. Bring your own mug for 10% off beverage purchases. 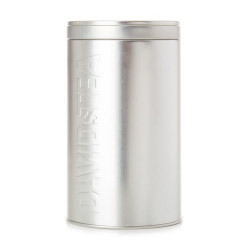 Refill your large tin in store and save $2 on 150 g or more of loose leaf tea. Refill your tin in store and save 50¢ on 100 g or more of loose leaf tea. We offer free standard shipping to Canada and the United States when you spend $50 or more, before taxes and after discounts are applied. You must order from your respective country’s website (Canada or US) to be eligible for free standard shipping. Shipping across borders may incur additional fees. 3 free 5 g / 0.2 oz samples of loose leaf tea are automatically added to each web order at checkout. You can pick your own or do nothing and we’ll surprise you. 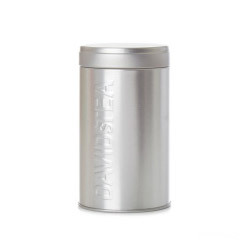 A free Silver Tin automatically gets added to your shopping bag with every 100 g / 4 oz purchase of any one loose leaf tea. Applicable to regular priced merchandise only. Sometimes our web promotions will come with a special promo code. Only 1 promo code per customer and per transaction may be applied to online orders. Just enter the provided promo code at checkout to redeem free or discounted item. Promotions and discounts that include a promo code are not stackable with other offers or our Frequent Steeper loyalty program.